It’s extremely rare for me to get any AFTER pictures from regular color consultations let a long from a virtual color consultation. This AFTER shot just came in today and I was so thrilled that my client took this picture and was so happy that I wanted to share it with you. We worked on most of the house but here is a picture of her dining room. 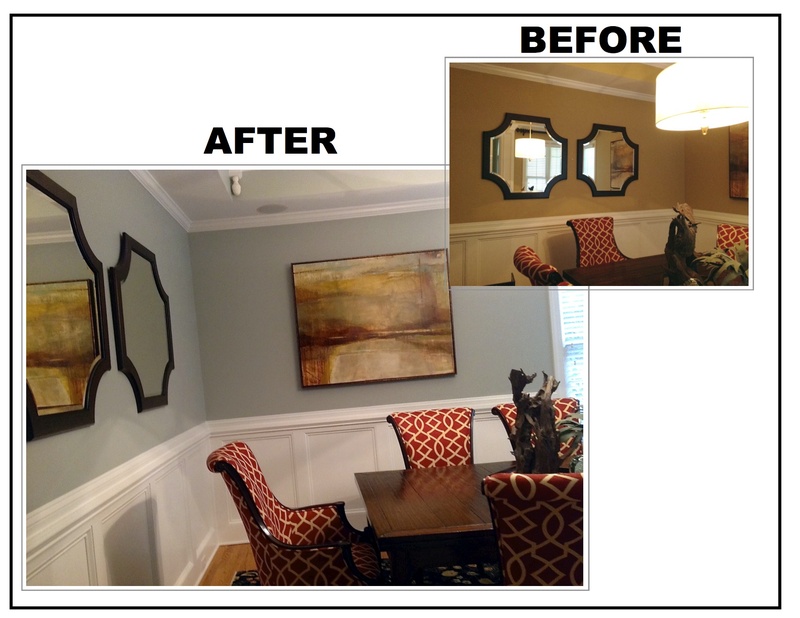 The BEFORE color was gold and she wanted an updated, modern color to coordinate with her decor and art. Gold is always a nice color choice when you work with red fabrics but as you may or may not this about me, I step away from the “usual or typical” color choices (aka the red dining room and front door) and choose color that maybe you wouldn’t have thought of at first. I know my consults are successful when I hear my clients say, “I would have never thought of that color!” Well that’s one of the reasons to hire a Color Specialist otherwise you can just go to the box stores and ask them for color advice. Ok – back to the AFTER pictures. Here you see BEFORE and AFTER. Nice transformation don’t you think? Many people ask me how I choose color for clients with being in the room. This is where you have to know color like nobody’s business and how lighting works in that state, being familiar with fabrics and the typical artwork that most people purchase. 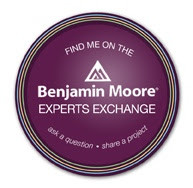 You also have to ask questions about what the client wants and the feel that they are trying to achieve for their home. I do this all through email – no phone calls. I must say that I find virtual color consultations so much easier than in-home consult and you’d think it’d be the other way around? One of my wonders of my world I guess! I actually took the color from the painting that she has hanging there – see the gray? I just tweaked it a bit and added a little blue – sorry, not telling you the color 🙂 I just rarely release the names of colors that I give to my clients. Can you guess it? Who has a good eye? If you name it I’ll let you know! 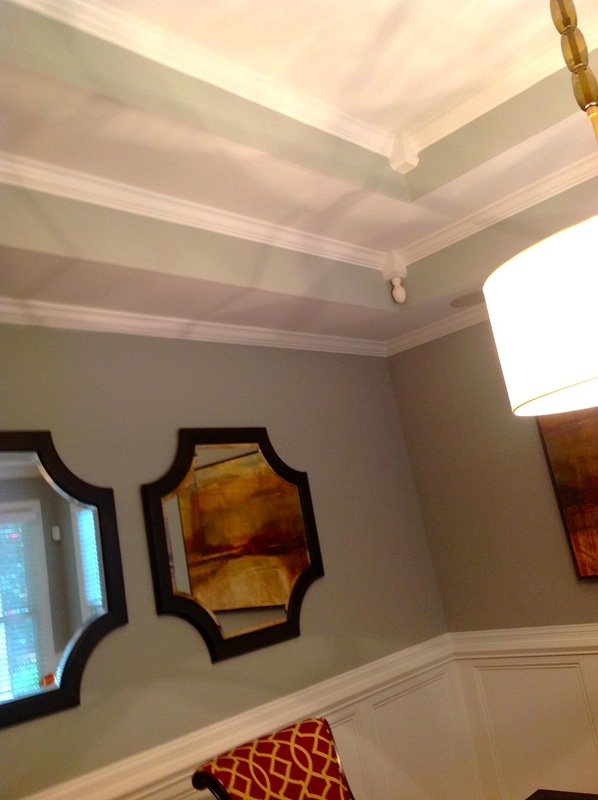 This entry was posted in Ceilings, Dining Room, Gray, Interior Design, Virtual Color Consultations. Bookmark the permalink. It looks lovely. The art really makes more of a statement because of the contrasting color on the wall. So beautiful! Thanks Sondra – I’m so glad the client loves it too!